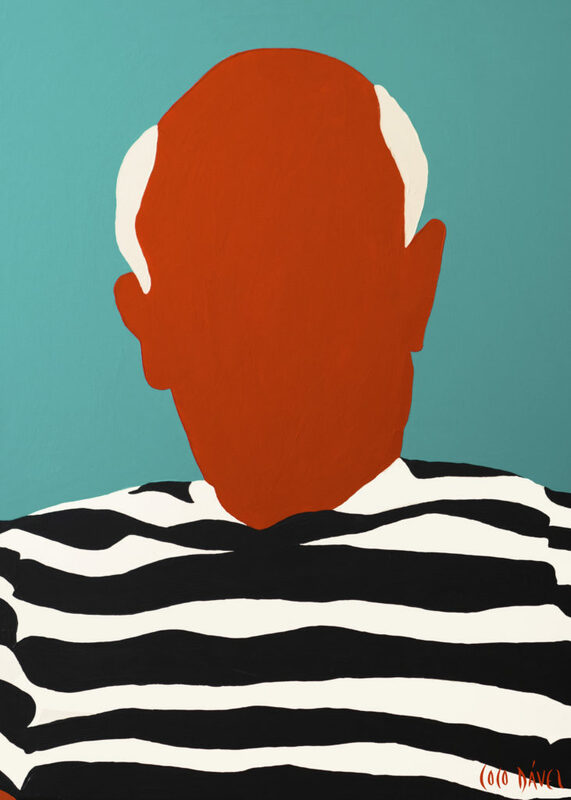 Renowned influential London based art gallery, Maddox Gallery, will exclusively unveil Spanish artist Coco Dávez’s striking collection of ‘Faceless’ portraits in May 2019. 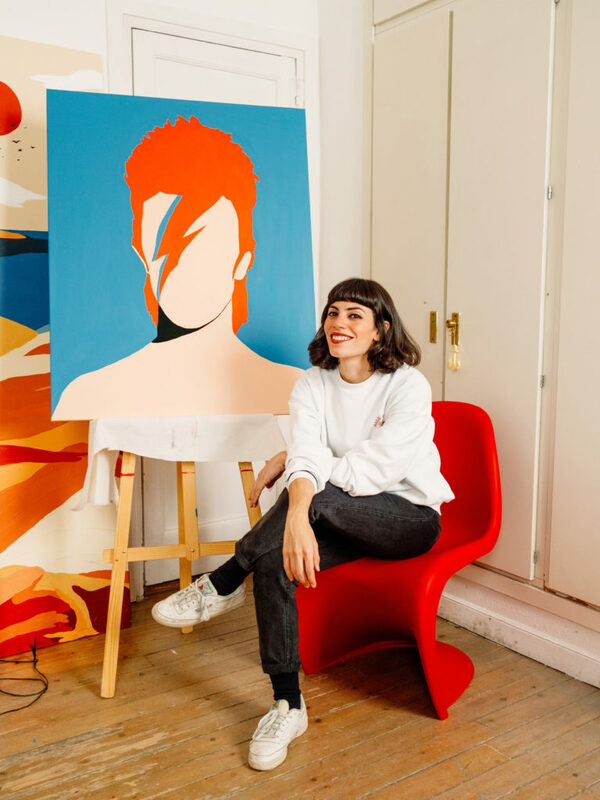 The launch of her most acclaimed body of work to date is undoubtedly set to disrupt the art scene in London and further afield. Ahead of her exhibition, The Art Collector asked Coco Davez about her idiosyncratic style and the upcoming show. 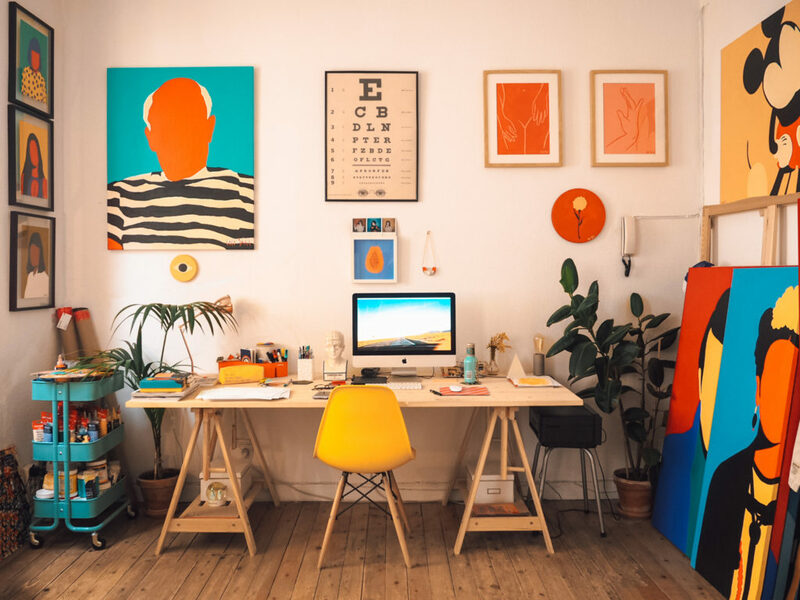 How does being based in Madrid influence your work (if at all)? Madrid evokes similar memories and perceptions to the ones I recall from when I was living in London. Both have special connotations but right now, the scene in Madrid is a very interesting one – especially relating to art. I’m self-taught and interested in all fields of art. I’ve worked with many diverse clients on all kinds of projects as a photographer, art director and a painter. I am constantly observing and use subjects that grab my attention to inspire me. You’ve exhibited globally and your upcoming exhibition at Maddox Gallery is not in your hometown. If your art embodied a nationality, would it be Spanish? The characters I portray are international, I don’t think my paintings specifically reflect or embody a sense of Spanish culture. I love my home country but ‘Faceless’ isn’t a reflection of Spain in any sense. 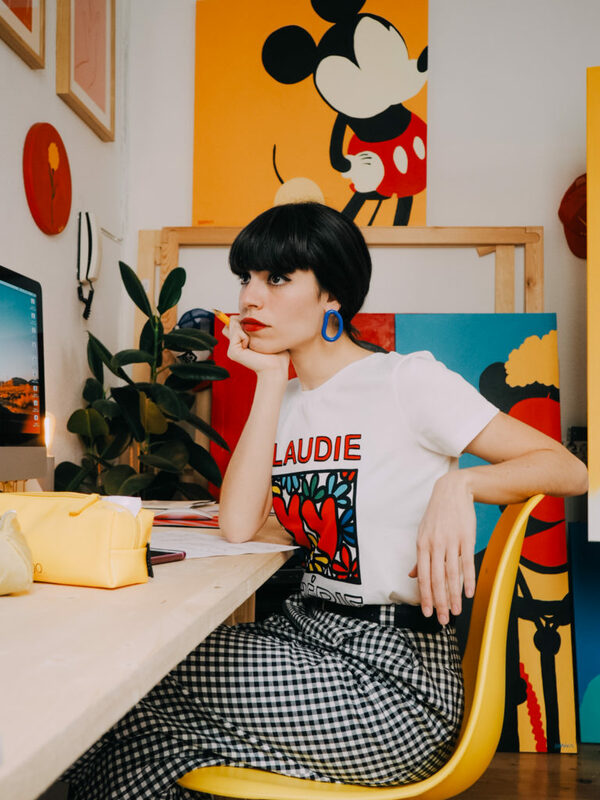 My art exemplifies an international personification and that’s why my collections have been exhibited globally from Paris, Queensland, Brussels, Lisbon, Barcelona, Madrid, Valencia and San Sebastian. 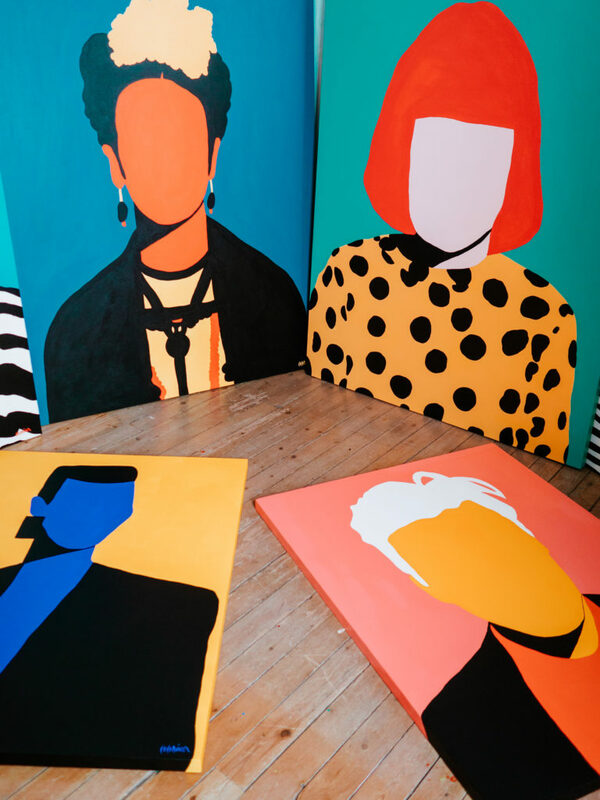 Your work portrays faceless icons. Can you explain to us the rationale behind the apparent anonymity? As a follow up, who are your personal idols and have you portrayed them to date? My chosen subjects for ‘Faceless’ play tribute to my idols from childhood to date, many of which have inspired my career. The most recognisable characteristics, clothing or accessories help distinguish my most loved artistic icons. 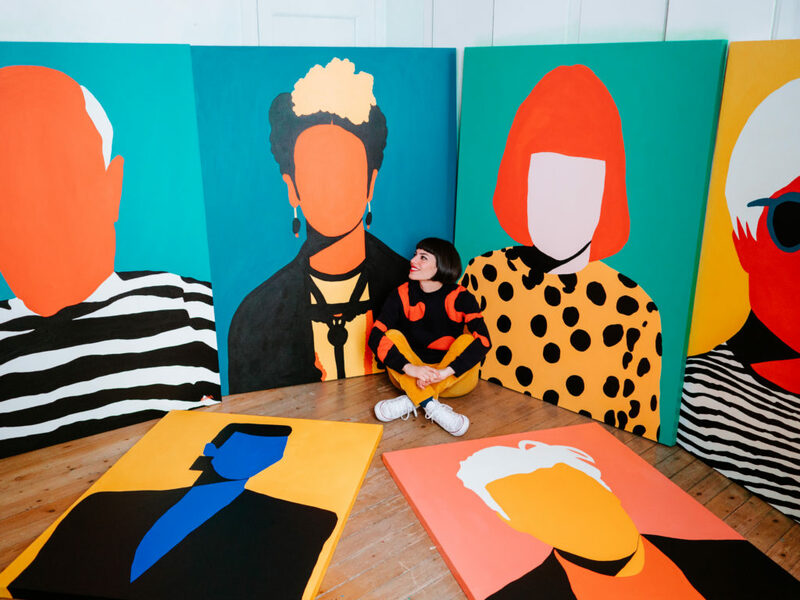 The collection features a range of understated and wildly colourful works, amongst which one can find the likes of Amy Winehouse, Jean-Michel Basquiat, David Bowie, Grace Coddington, Picasso, Andy Warhol, Iris Apfel, Richie Tenenbaum and Frida Kahlo amongst many more. To what extent does social media influence the artist, and/or if you prefer, vice versa? I began my career when I was living in London 2010 and published my first artwork on Instagram. I’m always observing but from my experience, social networks have mostly helped me to gauge feedback by often seeing how the public reacts to works I’m experimenting with. If I’m 100% confident in my works I’ll launch it directly but I like to see peoples reaction with certain projects in the first instance. On the other hand, I think there are artists who create trends on social networks that influence the reader in a similar way that fashion brands do. Online syndication is a very powerful tool, which I have a lot to thank for. Developments in technology enable an often facile production of art – be it ‘tech art’, the manipulation of photography etc. Do you think there will be a general loss in artistic virtuosity? Art is multifaceted and I see it as more of a form of art and an evolution, particularly in fields such as animation. I don’t believe it’s a general loss; there are many mediums and in this sense I look at it as an organic advancement in production. You’ve collaborated with many international brands. Are brands a shorthand assurance of quality/endorsement of art or do your works challenge the traditional (brand) patron-artist relationship/rhetoric? I think it’s great that art is extending its reach to all fields, they’re symbiotic relationships. Working with brands is something I perceive with great interest, it’s a way to keep learning. Every project is different and personally, a way of seeing my art across different mediums and industries is a creative exchange. Can you tell us more about your book of illustrations and the upcoming launch at the Maddox Gallery? My ‘Faceless’ book brings together the most important characters of the collection so far and I present each character’s universe in a way that demonstrates the impact they’ve had on me, how they came to influence my life and in turn, showcase the artists I consider. It’s worth knowing what they did or why they have been relevant in history. It has a pedagogical undertone combined with an autobiographical directive. To date, it has been the most intense and personal project that I’ve completed. My next exhibition will see ‘Faceless’ exclusively unveiled at renowned influential London based art gallery, Maddox Gallery, Westbourne Grove, May 2019. The exhibition will be my largest and most acclaimed body of work to date. There are many British characters that I’ve always wanted to paint, so the timing is perfect. A collection of works will be on display at Maddox Gallery Westbourne Grove from 10th to 31st May 2019.